A worn out tire can be dangerous, thus it is important to be aware of the actual age of the tires so you remember when to replace them. Another thing to remember is that rubber ages and as it ages, the quality deteriorates as well. So, buying new tires doesn’t necessarily means that it has been produced recently. Aging is a destructive effect of time and is an unavoidable process. One of the main cause of tire aging is oxidation. The rubber stiffens when it comes in contact with air and can start cracking. The tires age from the inside out and can lead to blown up tire, damaged wheel and in some cases a crashed vehicle. Thus, it is imperative to be aware of your tires’ age and inspect them regularly. • Oxygen concentration- This is the main cause of the problem. A higher oxygen concentration leads to faster tire aging. Thus, a mounted tire will age faster as supposed to the stored one. • The quality of the inner liner– The quality of butyl rubber compound determines the longevity of the tire. • Usage– The constant usage causes wear and tear and speeds up the aging process. • Heat– High temperature can also increase oxidation as it increases the permeability of the rubber. One thing to keep in mind here is that whatever the numbers you see in regards of life expectancy of the tire is just an estimate. As many factors affect the aging process, it is impossible to predict the exact time to change the tires. It is important to inspect your tires every few months for regular maintenance. Taking good of tires can make your tires last longer. Thus, regular maintenance and preventive measures can be made. • Drive carefully– Being reckless on the road can greatly affect the age of your tire. Avoiding extreme speed and sudden break as it can boosts oxidation thus decreasing the life of your tire. • Use the right tire– There are different tire for different season for to a reason. A summer tire can be disastrous if used during the snowfall or in winters. The extreme temperature can be harsh for the tires life as well. • Store tires properly– As the tire can age even when not mounted, it is imperative to at least keep them in good conditions to slow down the aging process. According to manufacturers, tires should last for 60000-70000 kilometers or about 4 to 5 years of regular use. However, as the rubber ages, various external factors greatly affect the estimated time of the tires. A regular inspection can help you understand exactly how long your tire will last. 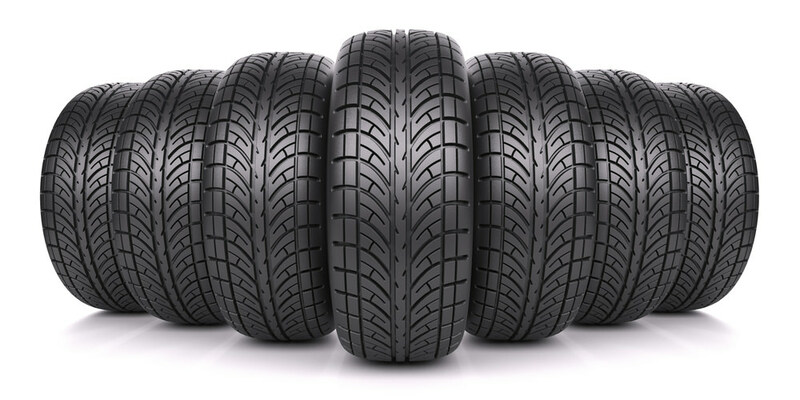 Getting your tires inspected every few months by a professional can help you determine how long will they last. Visit Harrad auto services for all your auto repair queries in Brampton.